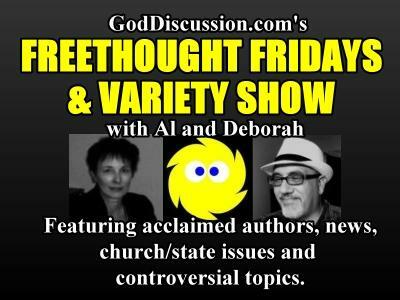 Two special guests with a unique perspective on the darker side of Mormonism will be featured in the Freethought Fridays and Variety Show — which will end with a message of transcending indoctrinated fear and finding fulfillment in life. 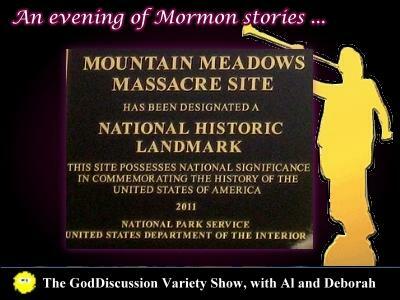 Our first guest is fiction writer Joseph M. Rinaldo, author of A Mormon Massacre. His novel draws on the 1857 massacre at Mountain Meadows, characterized as the largest mass slaughter of Americans by Americans until the Oklahoma City bombing, excluding the Civil War. 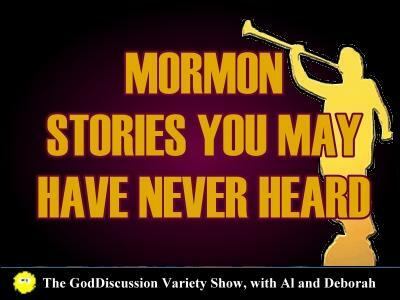 The main character of his story holds a deep grudge against the Mormon church because the massacre had a direct impact on his family history. 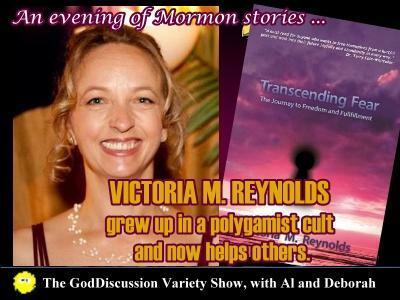 Victoria M. Reynolds will join us in the 2nd hour. She was born into a fundamentalist, polygamist commune where she spent her childhood indoctrinated into a life she knew deep within was not right for her. At the age of seventeen, out of desperation for a more meaningful life, Victoria found her way out of the commune and into the world she had been taught her entire life to fear. Now fulfilled and happy, Victoria is a much-sought "Magnificence Mentor" and "Spiritual Liberation Catalyst™" who shares her insight in the book, Transcending Fear: The Journey to Freedom and Fulfillment. Due to space limitations here, please visit God Discussion for more information about our guests, their work and their website links.